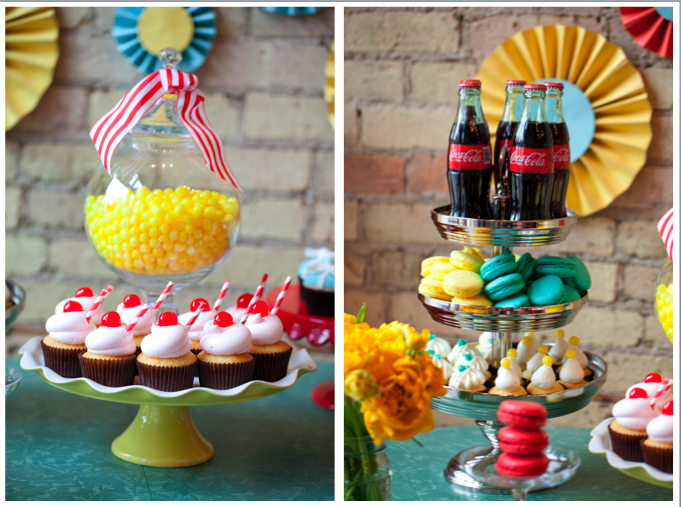 I have another bold and colorful styled dessert table submitted and photographed by Erin Johnson Photography. 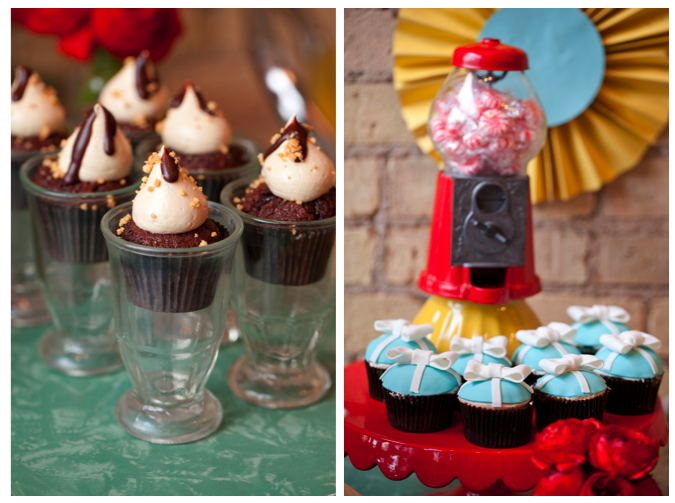 Erin Johnson Photography brought us this amazing Sweets Spectacular table. 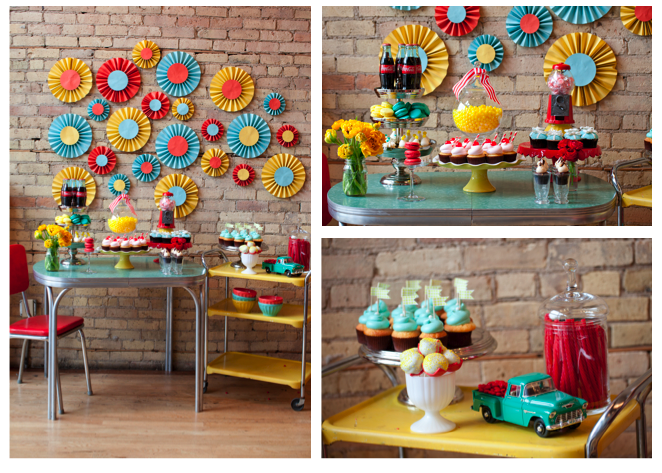 This retro styled dessert table serves up great inspiration for any Spring event–or of course, a retro/diner themed party. I love how they made the cupcakes look like milk shakes with straws and cherries on top. 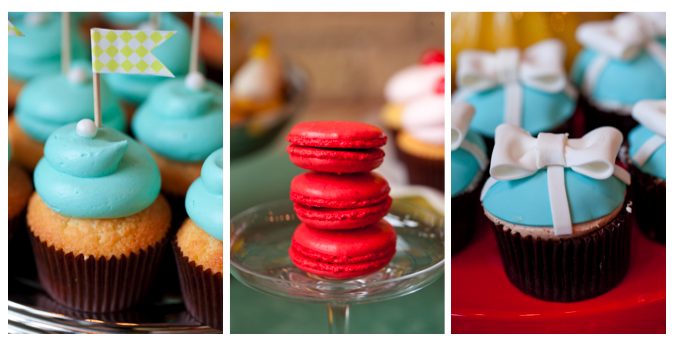 And other cupcakes look like root beer floats in taller glasses! Enjoy! Such fun colors and retro accessories! Love the entire look!